Around half a dozen RSOs and 10-15 policemen, in Santa Claus costumes, will march on Gurugram roads. Gurugram: Amid the Christmas celebrations, don't be surprised to see very many Santa Clauses handing out road safety tips to commuters on Gurugram roads on Sunday and a day after. 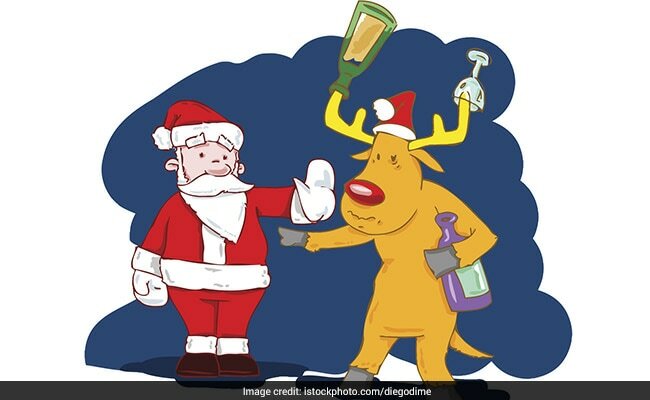 Dressed up as Santas, Road Safety Officers along with Gurugram Traffic Police personnel will deliver the message on road safety to drivers, and seek pledges from them not to drink and drive and instead follow all traffic rules, a senior police officer said on Sunday. "The awareness drive will be conducted late Sunday evening at the Cyber City followed by a march led by the Santas and Gurugram Police on Monday from the busy Mehrauli-Gurugram Road," Assistant Commissioner of Police (Highway Traffic) Heera Singh told IANS. Around half a dozen RSOs and 10-15 policemen -- dressed in Santa Claus costumes -- will march on various Gurugram roads over a distance of nearly 20 km to promote road safety and also distribute gifts to passers-by and commuters, he said. DLF Cyber City is a corporate park housing some of the top IT and Fortune 500 companies. It has been dubbed a futuristic commercial hub. The locations to be covered by the march are M.G. Road, Huda City Centre, IFFCO Chowk, Signature Tower Chowk, Kataria Chowk, Mahavir Chowk, Agarwal Chowk and Sethi Chowk. "The campaign is about making people realise the importance of reaching home safely and educating them about the dangers/risks caused by drink driving," Raj Kumar, a senior executive at a multinational company who is contributing to the initiative as a RSO, told IANS.